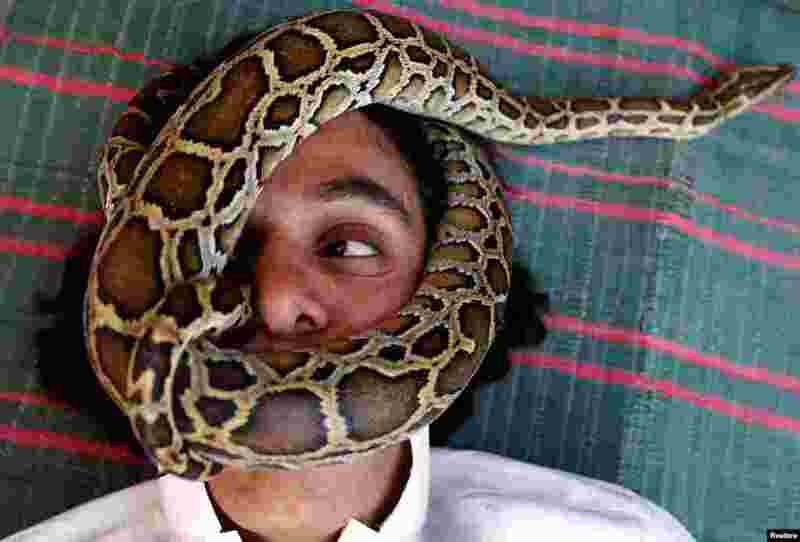 ٩ Palestinian man Nabeel Mussa, who keeps scorpions and snakes as a hobby and eats them, has his face surrounded by a snake at his house in Riyadh, Saudi Arabia. 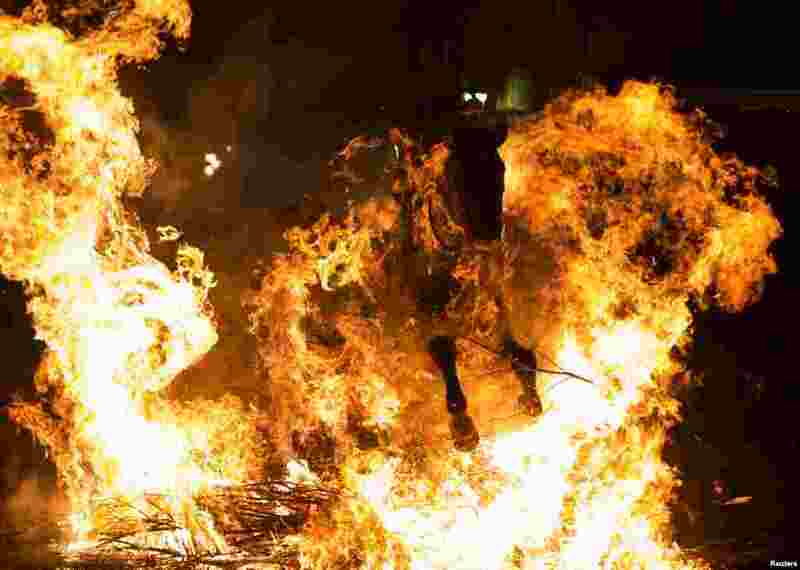 ١٠ A man rides a horse through the flames during the "Luminarias" annual religious celebration on the eve of Saint Anthony's day, Spain's patron saint of animals, in the village of San Bartolome de Pinares, northwest of Madrid, Jan. 16, 2017. 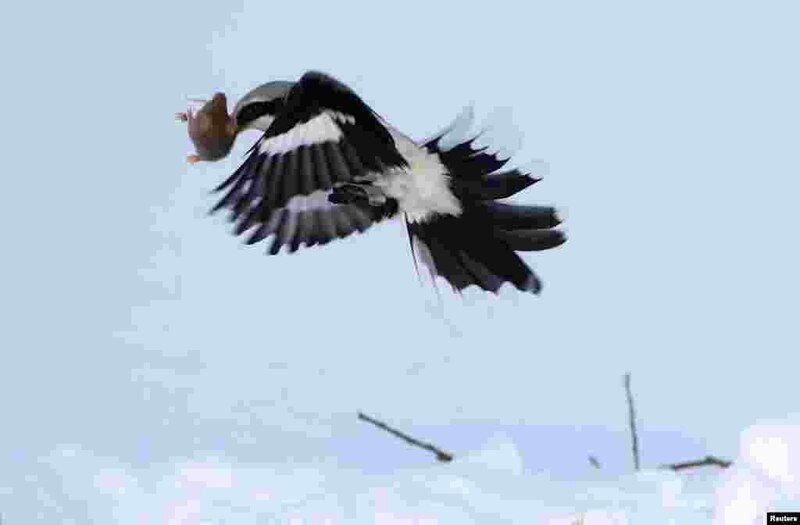 ١١ A great grey shrike grabs a mouse in a field near the village of Vasilkova, Belarus, Jan. 16, 2017.